Today (Sep 14, 2016) MVGATE Director and co-founder John Pearce will participate in the White House Computer Science for All Summit. Out of 200 national programs being announced, MVGATE's Family Code Night is one of five programs to be featured! 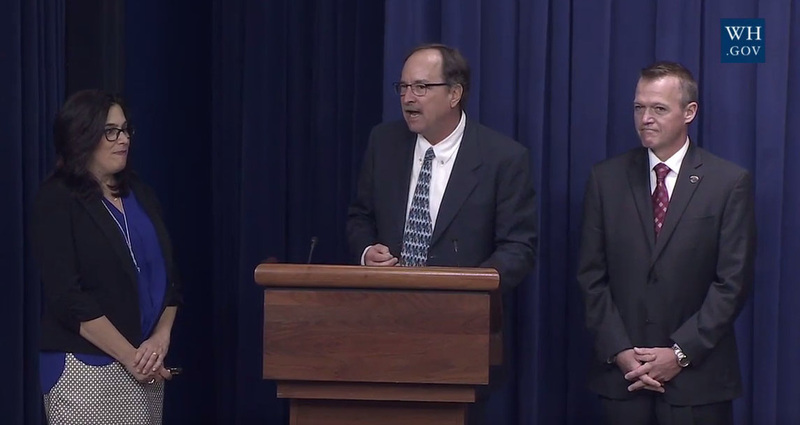 Watch the whole broadcast from the White House, or jump right to MVGATE's presentation. White House press release here. Our goal is to share with any school in America the Family Code Night program that 5,000 of you, parents and kids alike, have attended since 2014. Pioneered with you here in Marin, we're publishing a kit to empower thousands of parent volunteers or educators to host Family Code Night at any school in America. Please contact us if you'd like to learn more or to help out. We're looking for seasoned friends and advisors; for interns and staff in social media & new class creation; and for help with development/funding. We're doing cool work from our base here in Marin, and we welcome your engagement. Thanks to all our supporters, parents, and kids! Today, as part of Back to School Week, the White House will host a Summit on Computer Science for All. The event will mark progress on expanding computer science (CS) education since the President's call to action in his State of the Union eight months ago, and celebrate new commitments in support of the effort. The case for giving all students access to CS is straightforward. Nine in ten parents want CS taught at their child's school and yet, by some estimates, only a quarter of K-12 schools offer a CS course with programming included. However, the need for such skills across industries continues to rapidly grow, with 51 percent of all science, technology, engineering, and math (STEM) jobs projected to be in CS-related field by 2018. Please join us as we celebrate significant progress towards Computer Science for All, and announce new commitments from partners across the nation. Tune in via the livestsream noted below and #CsforAll on all channels.